Homepage » Crochet For Baby & Children » Part Cat Amigurumi, Part Rainbow Scarf, All Adorable! Part Cat Amigurumi, Part Rainbow Scarf, All Adorable! [Free Pattern] Really Cute Blanket And Fast Pattern To Work Up! We love this pattern, it is so hilarious! 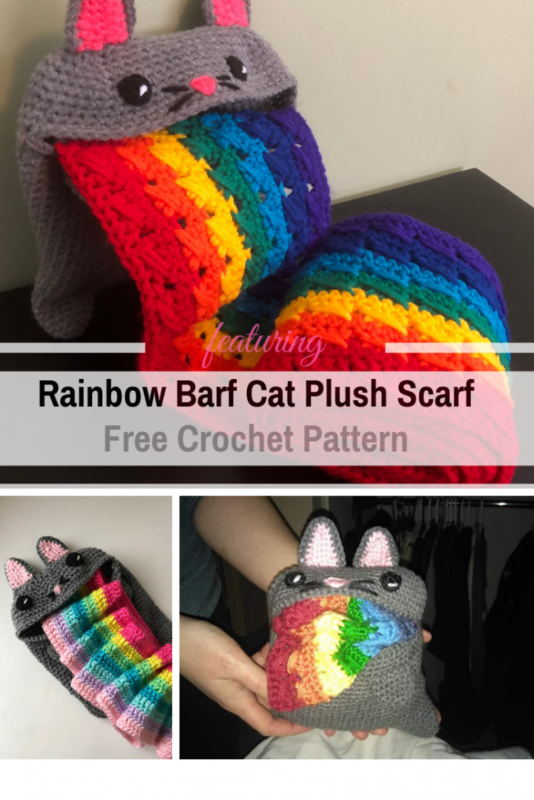 The amazing part cat amigurumi, part rainbow scarf, this free crochet pattern named Rainbow Barf Cat Plush Scarf and designed by Amanda Julien works up quickly and is fun and easy to work up. Every kid desires such cute and funny scarves so get ready to start crocheting barf scarfs for the all the special kids in your life. This list contains affiliate links that provide me with a small commission if you purchase your supplies from them. Get the pattern: Part Cat Amigurumi, Part Rainbow Scarf Free Crochet Pattern. Thanks to Amanda Julien for the article inspiration and featured image. [Free Pattern] This Little Dress With The Butterfly Applique Is Just Darling!